Success Guru AK Mishra is a renowned motivational speaker, entrepreneur, educationist and Founder & Chairman of prestigious Chanakya IAS Academy that has churned out more than 4000 Civil Servants (IAS, IPS & other Government Servants) till date. With his mission to bring revolutionary changes in the education arena, help Civil Service Aspirants bring their dreams into existence; Mr. AK Mishra incepted Chanakya IAS Academy in 1993. With its repetitive success and with an aim to reach every corner of the nation, Chanakya IAS Academy has now over 18 centers across India, headquartered in New Delhi. 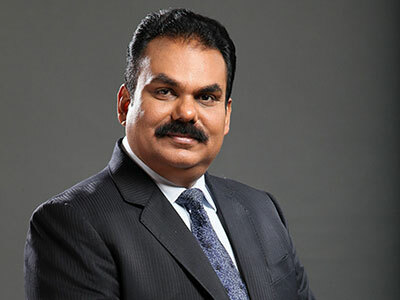 Along with coaching Civil Service aspirants to success, he has also distinguished himself as a world-class motivational speaker and trainer and has conducted life-transforming training sessions in a number of countries with an aim to help people succeed not only in Civil Services examination but in any chosen field and in each sphere of life. After coaching thousands of aspirants to success, he instituted AK Mishra’s Art of Success in 2006 with the aim of eliminating all the barriers that bars a person from getting success both at personal, professional and social front. Path-breaking training methodologies that Mr. Mishra has devised after years of extensive research have gained a worldwide reputation. His name and his achievements in training have earned him the media nickname “Success Guru AK Mishra. While AK Mishra Foundation was brought into existence by Mr. AK Mishra in the year 2016, for giving a shape to another nobler mission to build an inclusive India by pioneering a holistic model to address the multifaceted challenges being faced by the people from marginalized and vulnerable communities. Since its inception, AK Mishra Foundation has been committedly working towards enhancing the quality of life of people from ‘Rural Bharat’, by empowering them and catalyzing change through sustainable and innovative solutions. AK Mishra Foundation strongly emphasizes on these special causes, viz., Education, Health, Art & Culture, Sports and Skill Development.